Building Industry Online (BIO) is a construction and tender management software operating in the cloud. BIO's business administration technology makes getting the job done that much easier. Users can benefit from a central, online business management tool that not only stores critical information in the cloud, but also facilitates internal collaboration, asset and project management, document distribution and advertising/promotion. Work for Building Industry Online (BIO)? 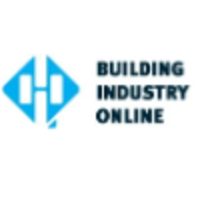 Learning about Building Industry Online (BIO)? * We monitor all Building Industry Online (BIO) reviews to prevent fraudulent reviews and keep review quality high. We do not post reviews by company employees or direct competitors. Validated reviews require the user to submit a screenshot of the product containing their user ID, in order to verify a user is an actual user of the product. Hi there! Are you looking to implement a solution like Building Industry Online (BIO)?